Adam Sandler, Chris Rock, Kevin James, and David Spade are back together again for Grown Ups 2. 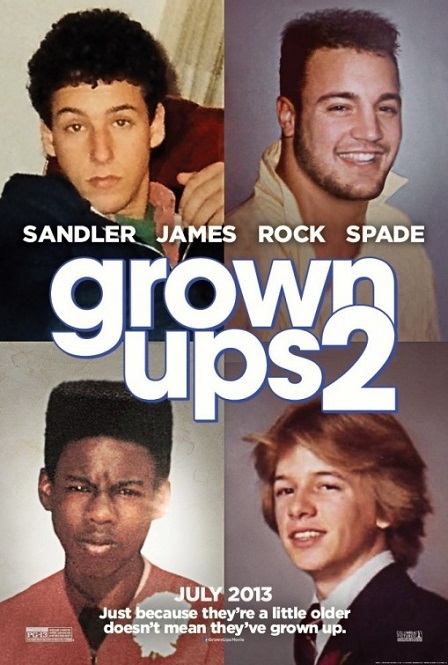 Three years after the first Grown Ups, Lenny (Sandler), Kurt (Rock), Eric (James), and Higgy (Spade) are back in their hometown and all dealing with new family issues. 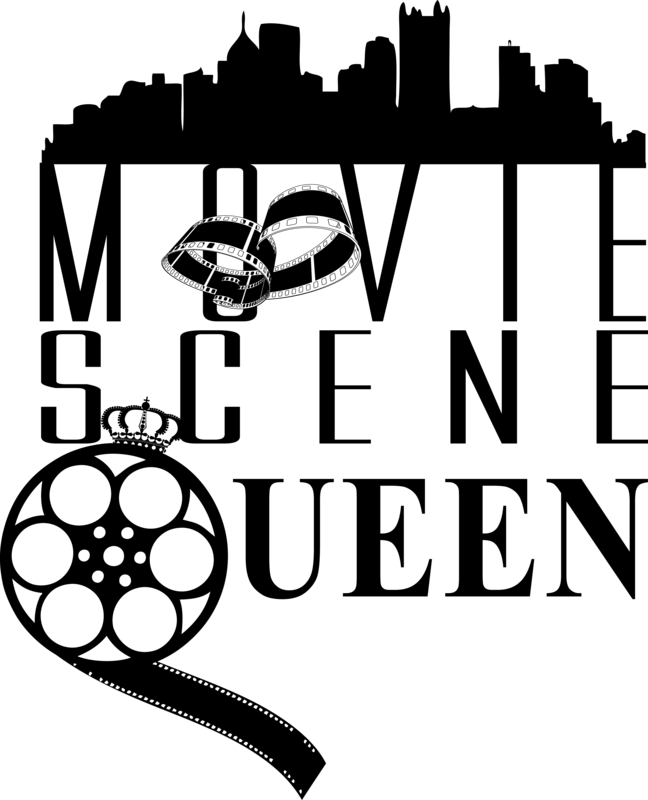 After Lenny moves back to Stanton, he wants to readjust to the rural setting as his wife, Roxie (Salma Hayek) pressures him about a fourth child. Kurt spends his day dodging cable customers and using his “Get Out of Jail Free Card” on his wife Deanne (Maya Rudolph) as she forgot their 20th wedding anniversary. Eric secretly hides out at his mom’s house to get pampered and feed well. Whereas, Higgy finds out he has a teenage son and just to further complicate his new parenthood, his son is a straight menace to society. Like the first Grown Ups, the four friends find themselves in deep water with their spouses, children, and they even managed to piss off a local arrogant group of frat guys. Adam Sandler can’t help but to remind you that this is a movie with his unrealistic encounters such as a deer peeing on him as he lies in bed. Besides its fictitious occurrences, Grown Ups 2 has some special guests like former NBA superstar Shaquille O’Neal and former WWE wrestler “Stone Cold” Steve Austin. I can honestly say there isn’t an Adam Sandler movie that I didn’t enjoy. One of the most impressing gestures Adam Sandler consistently commits to is hiring his own actor friends like Steve Buscemi, Peter Dante, John Turturro, Allen Covert and Rob Schneider, whom all had roles in Waterboy, Big Daddy, Happy Gilmore, Billy Madison, and 50 First Dates. Rob Schneider did not appear in Grown Ups 2 because his wife was pregnant during the shooting of the film. We certainly missed his dim-witted humor in the sequel, but Schneider did welcome a healthy baby girl, Miranda, in late 2012. I can’t think of a better reason to miss out on such a great movie. Do you remember the 3 sisters from Tyler Perry’s Daddy’s Little Girls? Well, the youngest sister, China Anne McClain is a bright, young rising actress. In Grown Ups 2, she plays Kurt’s only daughter, Charlotte McKenzie and shows off her beautiful singing voice as she dazzles as with her many gifts. Full of energy and a bubbly personality, Miss China clearly will have a prosperous acting career.